Champion Eye Center originally opened in Asheville in 1997. Now located in Arden, NC, Dr. Mark Jacobs and Dr. Patty Champion provide professional eye care with a personal touch. 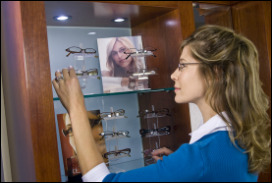 Whether you are looking for a new eye doctor or the best selection of eyeglasses, Champion Eye Center will provide you with a convenient location to meet all your eye care needs.